Inspired by summer's bright, glittering skies, described in Old Norse as skiren, this whisky is exclusively matured in First-Fill American oak casks for a smooth creamy sweetness with a hint of tropical fruit, citrus and coastal heather. 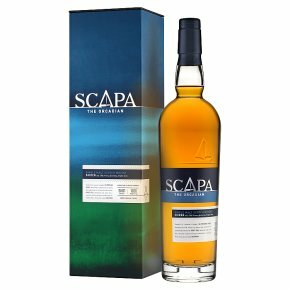 Within reach of the Arctic Circle, Scapa, part of the Orkney Isles archipelago is ruled by the elements. Crafted the Orcadian way, our team of artisans pride themselves on using traditional methods and skills honed over several generations.